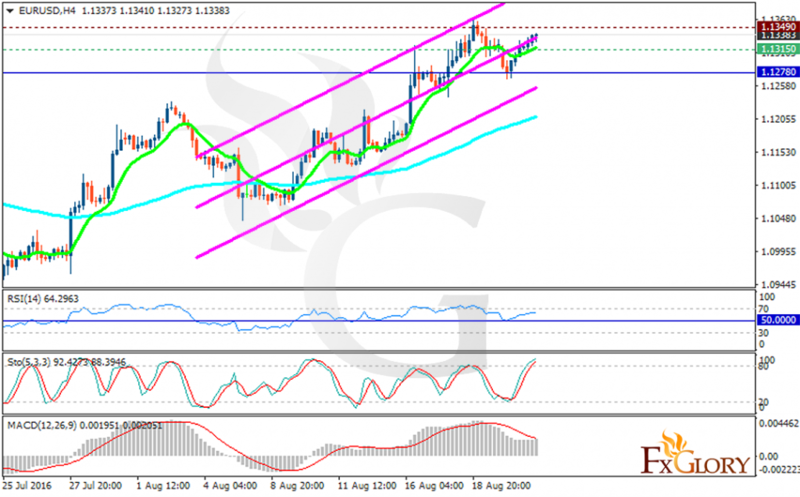 EURUSD is still climbing up the ascendant channel. The support rests at 1.13150 with resistance at 1.13490 which both lines are above the weekly pivot point at 1.12780. The EMA of 10 is moving with bullish bias along the ascendant channel as well and is located below the EMA of 100. The RSI is moving above the 50 level and is getting close to the overbought area, the Stochastic is showing upward momentum and the MACD indicator is in positive territory heading downwards. The pair may continue its upward trend however the 1.14 area seems to be strong resistance area.